The study also found traditional predictive tests ineffective as a true warning of an immediate threat of a cardiac event. According to AHA and CDC the first symptom will usually manifest itself as a cardiac event in most cases a fatal event. 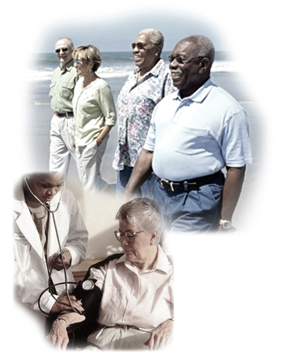 IMT screening is imperative for those with diabetes. Cardiovascular disease, (CVD), is the leading cause of death for the over 16 million diabetics in the United States according to the Center for Disease Control, (CDC). According to the American Diabetes Association, up to 75% of those with diabetes will develop or already have some form of cardiovascular disease. According to researcher Frans J. Wackers, M.D., a professor of cardiovascular medicine with Yale University School of Medicine, patients have few symptoms until the advanced stages of disease. The study also found traditional predictive tests ineffective as a true warning of an immediate threat of a cardiac event. According to AHA and CDC the first symptom will usually manifest itself as a cardiac event in most cases a fatal event. THE REPORT STATES: In addition, traditional cardiac risk factors (hypertension, smoking, family history, or dyslipidemia), as well as novel biomarkers (including high-sensitivity CRP, homocysteine, lipid subfractions, and plasminogen activator inhibitor 1), did not emerge as significantly predictive of abnormal tests. This may be due to the generally increased levels of these markers in our study population or might reflect the impact of treatment with statins, ACE inhibitors, and thiazolidinediones, as well as generally aggressive blood pressure and glucose control. Silent myocardial ischemia occurs in greater than one in five asymptomatic patients with type 2 diabetes. Traditional and emerging cardiac risk factors were not associated with abnormal stress tests, although cardiac autonomic dysfunction was a strong predictor of ischemia. Diabetics have a predisposed risk for CVD, more so than non-diabetics because of the damage diabetes causes to the major arteries, including the blood vessels that supply blood to the heart, the coronary artery, and the carotid artery which supplies blood to the brain. This damage makes it easier for non stable plaques to collect and intima-media lesions to form in the arterial walls closing off blood supply which will increase blood pressure thus creating a very immediate and real risk of stroke and heart attack. Women are much more susceptible to vascular damage from diabetes than are men. However, diabetic men are at a much greater risk for CVD than non-diabetic men. Diabetes is the only factor known to erase a pre-menopausal woman’s protection from heart disease. Diabetics who smoke, have lipid abnormalities, or have high blood pressure, are even more vulnerable to vascular injury and atherosclerosis caused by diabetes. Intima-media Thickness test’s using HeartSmartIMTplus® technology can bring into focus the extent of vascular damage and atherosclerosis in diabetic patients at the earliest stage of the disease. Once determined, the response of atherosclerosis to diabetes control, lipid therapy, blood pressure control, and the progress of interventions therapies can be monitored with regularly scheduled IMT measurements.